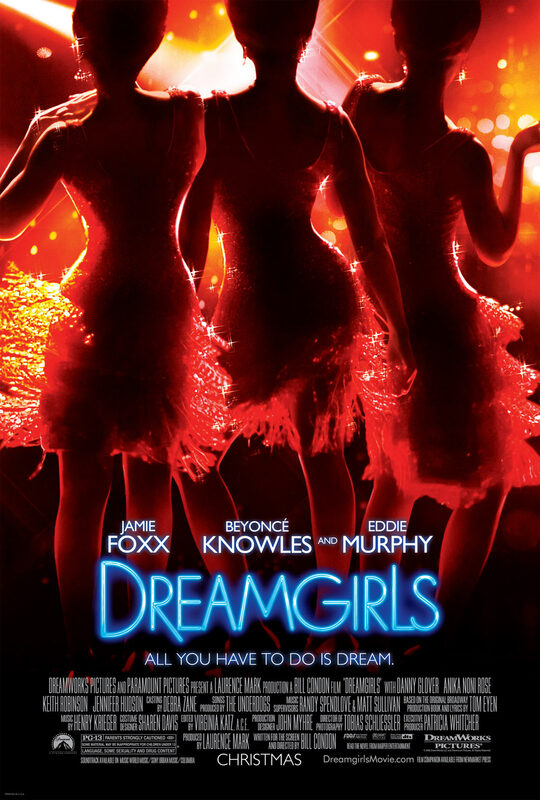 Dreamgirls (2006) | Tales From The Ipe! It was a musical. I didn’t know anything about this movie, except that it was a Motown-type film and there would be singing. The film came out way back in 2006. That’s four years ago. I knew I was behind on my movie watching, but wow, four years ago. Eddie Murphy was in this movie? The movie had an all-star cast — Jamie Foxx, Beyoncé Knowles, Eddie Murphy, and Danny Glover. This film also introduced Jennifer Hudson, who was pretty phenomenal. I was very surprised that Eddie Murphy had an important role as James Thunder Early. Frankly speaking, he hasn’t had a good role in a film in years. Seriously, years, and yet he was quite good in this movie. I enjoyed the film, and the movie itself really popped out on my standard definition TV. I would love to see this DVD again on an HDTV, and see it in all of its glory. This entry was posted in Entertainment and tagged beyoncé knowles, danny glover, eddie murphy, Entertainment, jamie foxx, jennifer hudson, motown, movies, music. Bookmark the permalink.